SHOULD YOU PLAN YOUR OWN WEDDING? When it comes to wedding planning, you basically have two options, plan it yourself or hire a planner. Some brides know exactly which route they want to go, but many go back and forth weighing the pros and cons of each before they decide. And some just choose without much thought and then regret that decision months into the process. So today, I want to give you a few things to consider to help you decide if you should plan your own wedding. Now when I say experience, I don’t mean like in the context of a resumé. What I mean is in the context of a journey. During wedding planning, there are several things that will take place and several tasks that need to be done. There is problem solving, decision making, designing, managing a budget, and resolving conflicts, just to name a few. All of which are experiences in the journey. Some of you may desire these experiences and realize that these are things that you will have to do throughout your marriage. You may want to use your wedding planning journey as an opportunity to hone in on these skills so that when situations come up in your marriage, or in life for that matter, you will have a better idea on how to navigate through it. As I mentioned earlier, wedding planning involves a lot of decision making. And you will be completely stressed and overwhelmed if you are not organized. You will have vendors to keep track of, checklists to go through and timelines to follow. So, having good organizational skills or being willing to learn some and putting systems into place will not only keep you sane but are an absolute must. With making wedding decisions comes a certain level of creativity. Before your vendors can execute your vision, they must know the design and feel you want for your wedding. Choosing your color scheme and how you want your venues decorated are just a couple of design decisions that need to be made. So, creativity plays a huge part. So, if you can make decisions quickly, come up with and explain your vision, and be very organized throughout the process, then planning your own wedding could be an option for you. If you fall in this category, and thrive off of getting “ish” done, then you will definitely get what you ask for if choose to plan your own wedding. As I’m sure you already know, wedding planning takes up a whole lot of time. It really can be considered a full-time job. So, if you don’t have an extremely busy life, the time factor may not be an issue for you. If you don’t work, or work part time, or have an unconventional work schedule where you have stretches of days off at a time, then it will be easier to really spend the time necessary to get all your planning tasks done. Now this isn’t to say that if you have a busier work schedule that you couldn’t or shouldn’t plan your own wedding. Hell, I was working 10 to 14-hour days as a pharmacist while I planned my wedding. You just have to be extremely careful in your time management, so you can maximize the hours in your days. You won’t have the luxury of totally free days dedicated solely to wedding preparations so planning ahead is imperative. The point here is that your time is very limited and the more of it that you have, the more likely planning your wedding yourself is a viable option. Let’s be real here, weddings can be expensive, and doing the planning yourself will always be less expensive than hiring a planner. If you have a limited budget or maybe just put value on other things over hiring a planner, then this could be a choice for you. But I do want to say that if money is your ONLY reason for planning your wedding yourself, you may find this journey stressful. You, especially, will need to find joy in some part of it to keep you motivated and to get through it unscathed. So, in your case, it’s even more important that you are organized and have a real system in place to guide you through the journey smoothly. what if none of these apply to you? Some of you may have read this list and feel like you don’t really fall into any of these categories, but you still want to plan your own wedding. And if that is the case, that is totally fine. The point I want to drive home is that you must have a REASON to do this. Wedding planning is a lot of work and takes a lot of time so you if you don’t have a real reason WHY you are doing it, you will lose the motivation to see it through to the end. Now, if after reading this post, you realize that maybe planning your wedding yourself may not be right for you, then I say KUDOS to you! It’s better to come to this realization now before you get too deep into it. But before you completely rule it out as an option, let me ask you this question. Why do you think planning your wedding isn’t for you? Is it because of one of the reasons I discussed in this post? Is it because you don’t think you can put in the work? Or is it because you think planning your own wedding will rob you of the joy you desire during your engagement? Let’s talk about it. 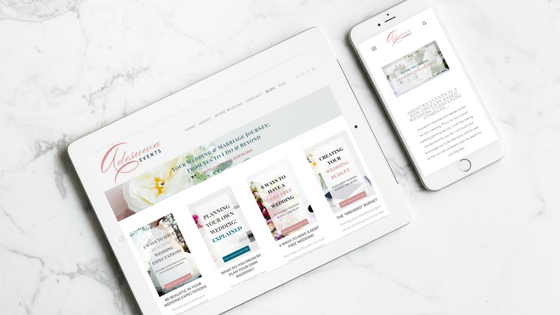 Click here to schedule your free 15-minute phone consult with me so we can discuss your wedding planning concerns. Let’s explore the answer to these questions to be sure you make the right decision for the right reasons.